Vacation is your time to escape so, it must be perfect. That’s what this guide is about, helping you understand Cape Cod and how to decide where to stay. 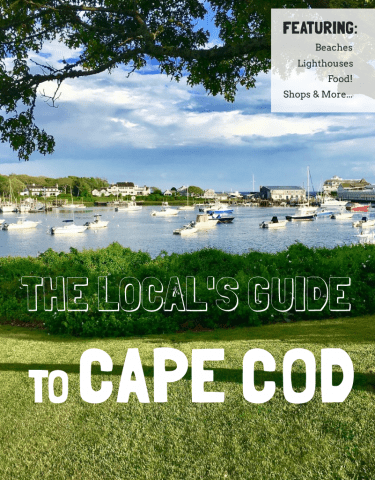 Three things you should know: the Cape is bigger than you think, each town/area is distinctly different, and it takes longer than you would think to get from one area to another (although we do offer some great hacks below). This Cape Cod Guide was put together by a local who has explored Cape Cod extensively. The Author is an Innkeeper at an award-winning Boutique Hotel, The Platinum Pebble Boutique Inn. If you are on the search to empty your Bucket List and a classic Cape Cod vacation, you have found the spot. Be sure to check availability as the Inn books quickly. Read on for a summary of all things great about the Cape on your hunt to find the best place to stay on Cape Cod. 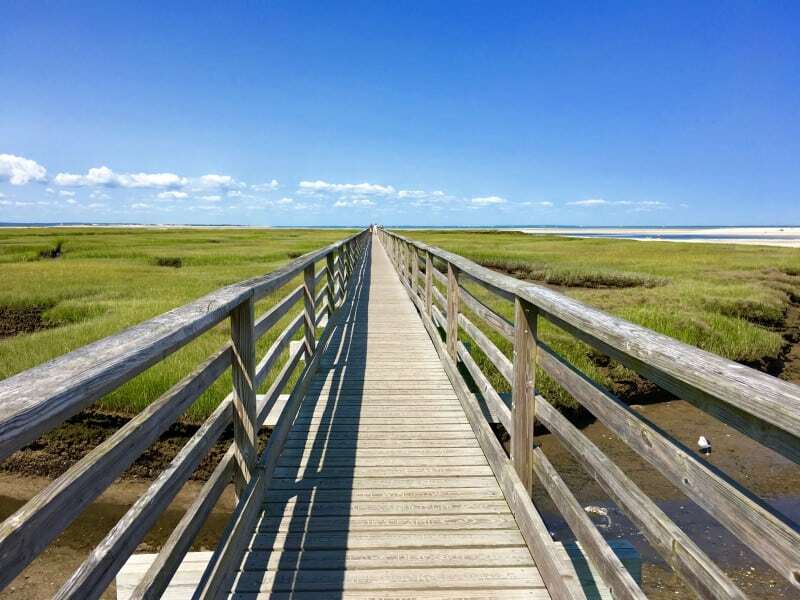 Once the decision has been reached that this year’s vacation destination will be gorgeous Cape Cod there are three common misconceptions that should be recognized before deciding where will be the best place to stay on Cape Cod. – Misconception number 1: Cape Cod is a small beach community that you can get around by walking and by bike. Not unless you really like biking! The Cape is 65 miles long from Bourne to Provincetown with fifteen different Cape Cod towns and villages to consider. If you wish to truly explore the Cape a car is a necessity but, it is still worth researching where you wish to base yourself so as to make the most of your hard earned vacation. If you are taking a Bucket List trip, you need to know how to maximize your time in this special place. At the same time, don’t discount biking altogether. Depending on where you stay there are several amazing bike trails that connect riders with different parts of the Cape and towns. 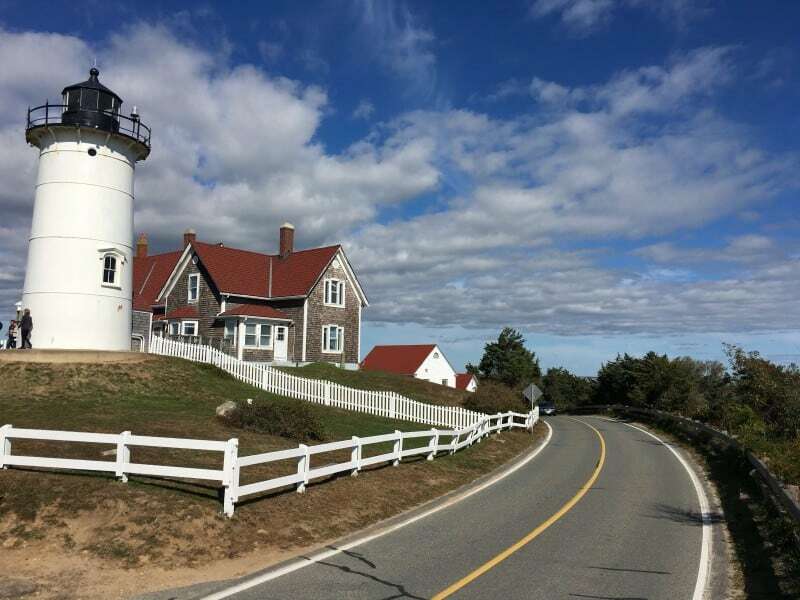 Enjoy the Shining Sea Bikeway in Falmouth and Buzzard’s Bay, The Cape Cod Rail Trail and the Old Colony Rail Trail in Yarmouth, Dennis, Harwich, Chatham, Brewster, Orleans, and Eastham (! ), and the Provincelands Bike Trail in Provincetown. – Misconception number 2: All Cape Cod towns are the same. You will quickly see that each town has a distinct character that makes it special. Whether you want beaches, family fun, shopping, hiking, night-life, sailing, or ease of access to the islands will determine which town is the best place to stay on Cape Cod, for you. Below we detail the different towns and what makes them special so you can find what is important to you and your vacation. – Misconception number 3: I’ve got a car so I’ll be able to zip around Cape Cod in no time. Not a lot of “zipping” takes place on Cape Cod roads in summer. The roads get crowded in July and August, especially on turn-over Saturday (vacation rentals) and during big events (Provincetown’s Carnival). With the wind behind you, driving from Falmouth to P-Town in July and August will take up most of your three day vacation. While the traffic and crowds CAN be bad, they don’t have to be. Check out this article for 7 Cape Cod Travel Hacks to Keep you Sane to help maximize your vacation time during the height of the season. Also, always consider a visit in the “shoulder season”, April through June and September through November for less crowds and empty beaches. The optimal use of this guide is to find the area that provides the best, closest access to the areas you want to be and let your Concierge help you navigate further afield using some of the local’s secrets to getting around in the summertime. OK, so with that being said where should you head? 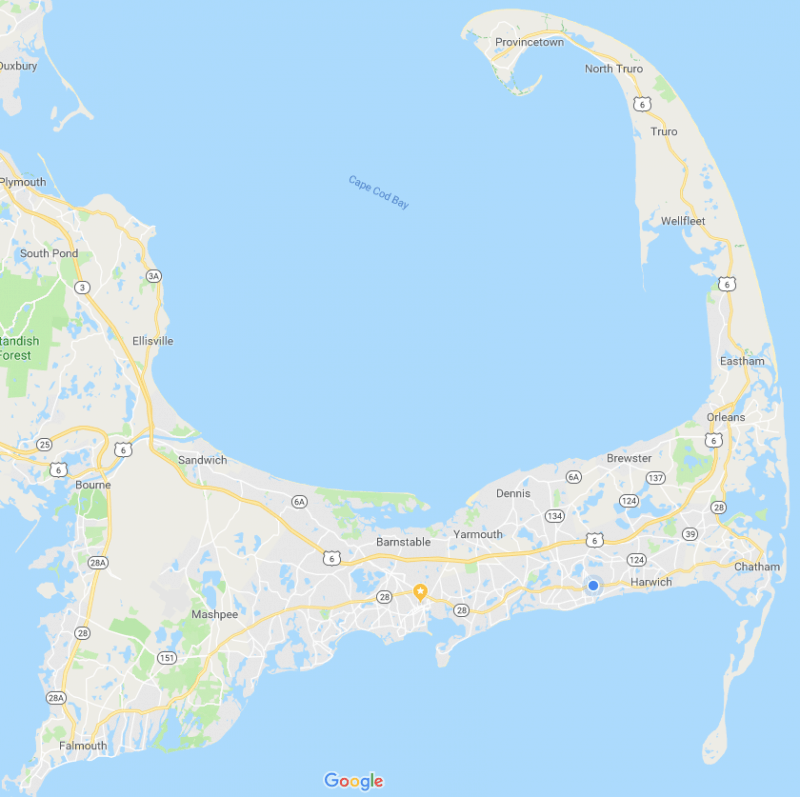 Cape Cod is made up of the Upper Cape, Mid Cape, Lower Cape, and Outer Cape. For detail on incredible things to do on Cape Cod, be sure to check out this downloadable Cape Cod Travel Guide. 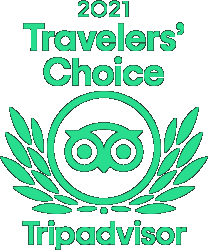 We will make it easy for you to decide, “where should I stay in Cape Cod”? The Upper Cape is made up of Sandwich, Mashpee, Falmouth, and Woods Hole. Sandwich is just across the bridge from the mainland and is the oldest town on Cape Cod with the character of a Norman Rockwell painting. Here you can find the Glass Museum, Heritage Museum and Gardens (Arboretum and Classic Car Exhibit), and the Sandwich Boardwalk. The Boardwalk is classic Cape Cod with kids jumping off the midpoint into the marsh during the summer months. 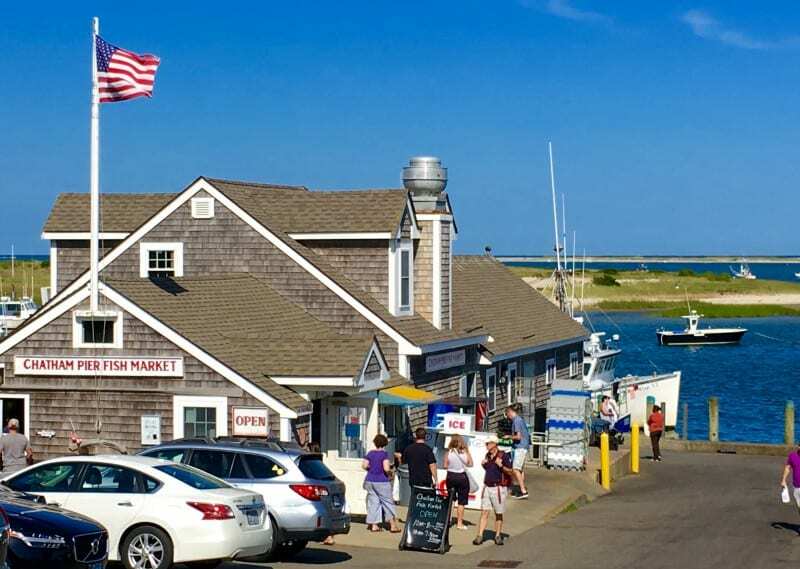 Mashpee has some great shopping at the Mashpee Commons and our favorite coffee roasting plant, Cape Cod Coffee but, this is not exactly a destination for vacationers to stay. More so to visit. If you plan on taking several day trips to Martha’s Vineyard or even visit Newport, Rhode Island then staying in Falmouth or Woods Hole right at the southwestern tip of Cape Cod is best. 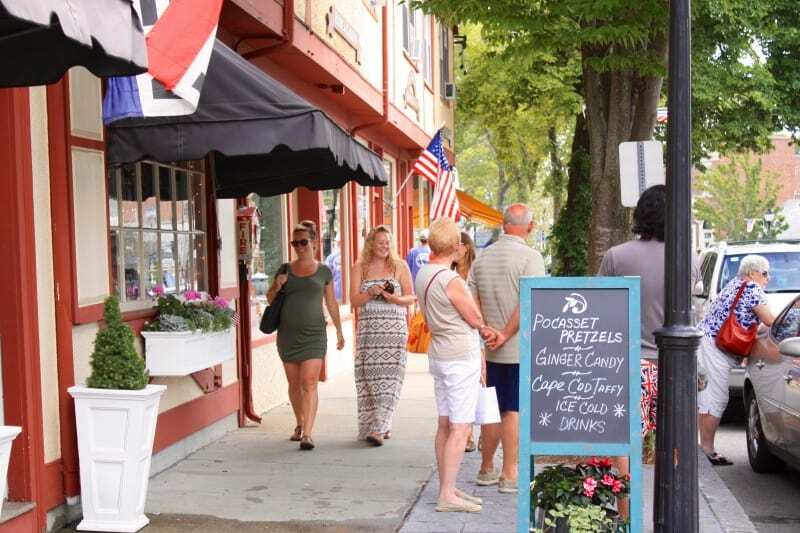 Falmouth is one of the best walking towns on Cape Cod with a long Main Street and lots of great shops and restaurants. Only a ten minute drive south of Falmouth is Woods Hole. Ferries run regularly from Woods Hole to the Vineyard and you are close to the world famous Woods Hole Oceanographic Institute and the Nobska Lighthouse (a big favorite). But, you are going to have a long drive if you wish to go whale watching, visit Provincetown, or visit the beaches of the Cape Cod National Seashore (which you should absolutely see…they are spectacular). The Mid Cape area is made up of Hyannis, Yarmouth, and Dennis. This area is more crowded than parts further East and the general theme here is families. Hyannis offers the widest variety of restaurant options, night life, and has easy access to the fast ferries to Martha’s Vineyard and Nantucket for island day trips. This is also where you’ll find everything associated with the Kennedy family. It is possible to explore most of the Cape from here although the trek to Provincetown is a good 90 minutes in summer and Hyannis is not exactly Cape living. 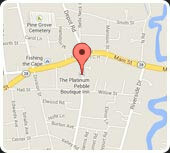 This is the business center of the Cape and an area we avoid unless we need something from the big box stores. Mom and Pop shops with the character that you would expect on Cape Cod increase as you head East . When we think of the best place to stay on Cape Cod, Hyannis is not on the list. It is certainly worth a visit while you are here though. Yarmouth is possibly the most family friendly town. Along Route 28 on the south side of the Cape you will find inflatable parks, go-karts, mini-golf, and some of the great things you did as a kid. This should be a part of every trip to Cape Cod if even just for nostalgia’s sake. Scenic Route 6A runs on the north side of Cape Cod and passes by Gray’s Beach Boardwalk on the way into Dennis. This is a must see stop while here if just for the big views over Barnstable Harbor to the Sandy Neck Colony. Dennis is also a very family friendly area. Like Yarmouth, the towns that make up Dennis stretch from the Nantucket Sound on the South side all the way to the Cape Cod Bay on the North side. It offers some amazing beaches (West Dennis beach on the south side and Mayflower beach on the north side), a favorite seafood shack – the Sesuit Harbor Cafe, and scenic views from Scargo Tower. To many Cape Codders the “real Cape” doesn’t start until you’ve driven east over the Bass River and entered into the Lower Cape. Certainly once you pass this point there is a discernible change in the scenery and attitude. The Lower Cape is made up of the towns of Harwich, Brewster, Chatham, and Orleans. Things are more laid back and this is where you find the beginning of the long Cape Cod beaches, clam shacks, hiking conservation areas, the flats of the Cape Cod Bay, more lighthouses, and the classic Cape Cod feel you come for. You’re also now right in the middle of the Cape and in a great place to explore all its offerings. Harwich is perfectly situated equidistant to all…Falmouth is one hour West, Provincetown is one hour East, with drive and ferry time both islands are an easy hour and a half away. 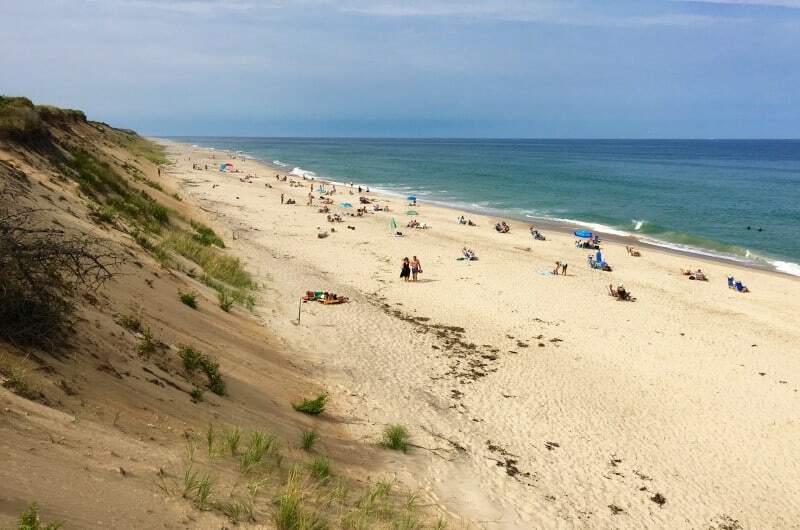 On the warm side of the Cape where the waters of the Nantucket Sound are much nicer for swimming than the frigid waters of the Outer Cape or the Cape Cod Bay, Harwich has a special feel. Harwich Port was voted #2 Happiest Seaside Town by Coastal Magazine and in the Top 25 Main Streets in the USA by Country Living Magazine, for a reason. 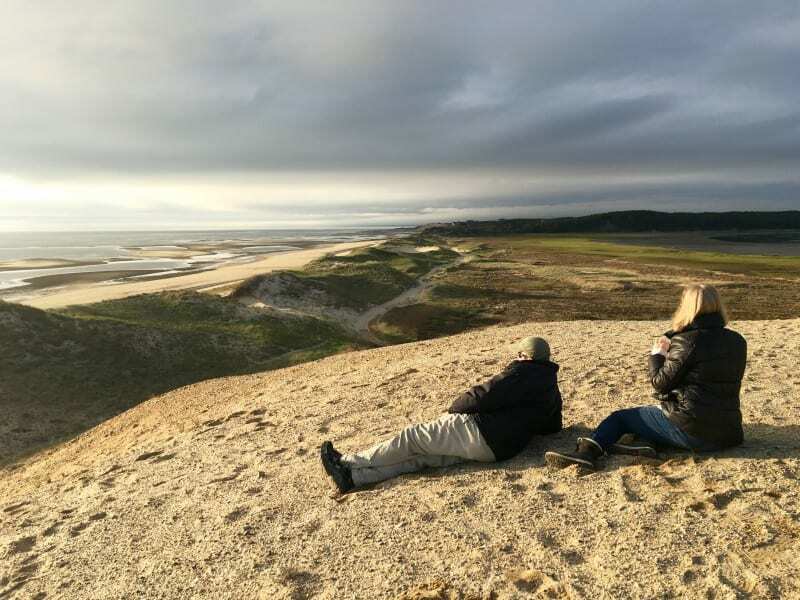 It is one of the best places to stay in Cape Cod for couples who like to be outdoors as the bike trail runs through Harwich on the way to the Outer Cape and the Conservation Lands offer some incredible hiking options. Harwich is also the location for upscale weddings with both Cape Cod hotels the Wequassett Resort and Wychmere Beach Club located in the town. Brewster is quieter and has a lovely bucolic feel to it with great conservation areas (Nickerson State Park), biking, and plenty of antique stores to explore on historic Route 6A. Chatham Cape Cod has that quintessential New England village feel and a much-photographed lighthouse and beach. It is VERY likely you will see some of the many seals of Cape Cod hanging out at the Chatham Pier and its Fish Market. Sailing excursions are mainly focused around the harbors of Dennis, Harwich and Chatham and go out into the Nantucket Sound. As you curve north up towards the Outer Cape you pass through Orleans. Orleans is where to find the best hot chocolate on the Cape at the Hot Chocolate Sparrow, impossibly colorful sunsets at Rock Harbor, and beaches on both the Atlantic and Cape Cod Bay. A favorite is Nauset Beach. The Lower Cape is where you will find the best place to stay on Cape Cod if you are looking for that special feel of the Cape but also the conveniences of not being too far out. Heading to the Outer Cape you’re in true beach country. Eastham, Wellfleet, Truro, and Provincetown are home to the stunning Cape Cod National seashore beaches and quite a few more lighthouses. Wellfleet Oysterfest is a big draw in October and the surfers can be found on many of the Eastham and Wellfleet beaches year round. There are also some exceptional hiking trails in this area of the Cape and lots to explore outdoors. Many things tend to shut down in the off-season as it has a high percentage of vacation home rentals and summer only residents. It’s a long drive from here to the ferries to the Islands and outside Wellfleet the restaurant options are limited but, in summer the clam shacks are the best on the Cape (Mac’s Shack and Arnolds are two favorites). This area is very much beach life and it doesn’t get more laid back then here. Another great spot for lunch and live music is the Beachcomber in Wellfleet. Eastham is home to Dr. Beach’s #6 pick for top beach in the USA, Coast Guard Beach at the beginning of the Cape Cod National Seashore. The bike trail (Cape Cod Rail Trail) continues through Eastham and ends finally in Wellfleet, 26 miles from its beginning! As you head north to Truro it gets less inhabited and more isolated from conveniences. For a stunning and often deserted beach check-out Head of The Meadow beach in Truro. When the Nor’Easters blow just right there are times that shipwrecks ribs poke out of the sand, on display until the next big Nor’Easter takes them down again. The Outer Cape can be the best place to stay on Cape Cod if you want to totally escape and get out there. Until you get to Provincetown, that is a whole other animal! At the tip of Cape Cod sits the creative, colorful, artsy, high energy community of P’town. It is a good idea to check what big events will be taking place in Provincetown during your stay. P’town is ALWAYS on the list of great day trips but, consider a stay elsewhere during their peak times. Carnival, Bear Week, Pride Festival, and July Fourth celebrations are very busy with limited parking so traffic can be, well… a bear. In summer it’s a serious drive to get to other parts of Cape Cod and not the best location if you want to visit Nantucket or Martha’s Vineyard or the museums in Sandwich. There is a ferry from P-Town to Boston to avoid the long drive. This is where to find the best place to stay on Cape Cod if you are looking for high energy and a little partying. The author is the owner of The Platinum Pebble Boutique Inn located in Harwich, Cape Cod. 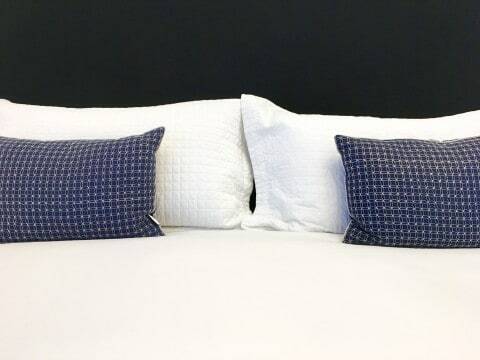 The Platinum Pebble Boutique Inn is Cape Cod’s best boutique hotel and experience for travelers interested in living like a local. This guide is written from a die-hard exploration of the Cape from Falmouth to Provincetown and everything in between. 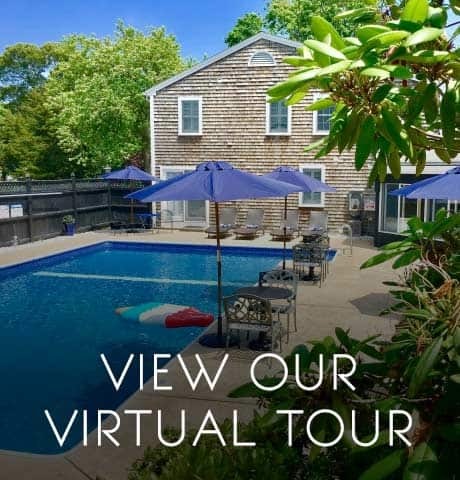 If you are interested in touring the Inn and planning your next Cape Cod vacation, click below to check out The Platinum Pebble Boutique Inn. If this article helped you find the best place to stay on Cape Cod, please share with friends!